Suyin is a director at Nous Group. Suyin’s background is in the not-for-profit and private sectors, where she has held board, executive and management roles. She combines extensive experience in operational management, strategy and business development, commercial negotiations and the law, with strong management and leadership skills. Clients value her strategic thinking skills, business acumen and ability to lead and influence people in a positive way. Developed a business case and financial model for the national merger of 12 independent organisations; delivering sustainability and growth, influence and impact. Prior to joining Nous, Suyin was the chief operating officer of Australia’s leading foreign policy think tank, the Lowy Institute for International Policy; where she was responsible for all aspects of operational and financial management, fundraising and business development, and governance. 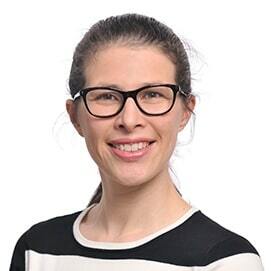 She held legal and strategy roles at Lonely Planet Publications, including as General Counsel and Director of Legal and Strategy; and was an intellectual property lawyer at Mallesons Stephen Jacques (now King and Wood Mallesons). Suyin has held board, executive and management roles in both the private and not-for-profit sectors. Suyin holds Bachelors of Arts and of Laws (Honours). She was admitted as a lawyer to the Supreme Court of Victoria and in the Supreme Court of New South Wales. In her spare time Suyin enjoys cycling, playing golf, horse-riding and spending time with her family.